So... an introduction. 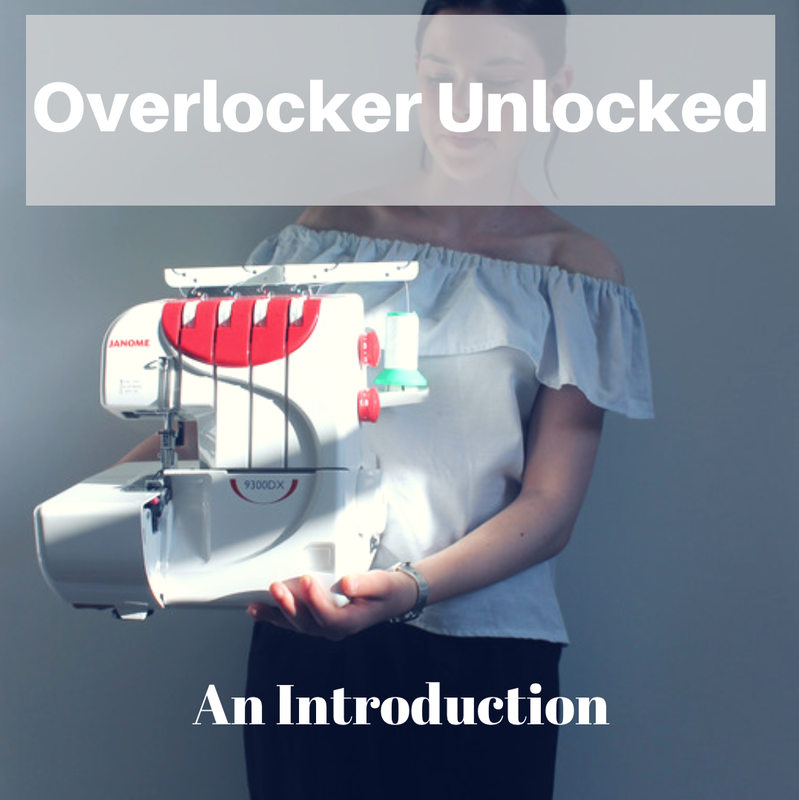 I don't know about you, but an overlocker has always been one of those things that I've dreamed of owning (dreamed, not thought, being the key word in this sentence). Ever since I started sewing, to me an overlocker meant buisness; it meant being professional and it meant knowing exactly what you're doing. But here's the thing: it doesn't have to. For a long time I always thought of an overlocker as being something that it would be ridiculous to invest in if I hadn't achieved a certain level of sewing. And while this is true in a way, skill level is definitely not the only way to measure wether or not it's time to get an overlocker. I'll touch upon this more later but in my opinion, the investment of an overlocker is more to do with how much you love sewing than anything else. While overlockers really are quite an investment, I cannot emphasize enough how much you can get out of of one if you love to sew. Still though, overlockers remain to most people a confusing and technical piece of equiptment at the very least (I certainly had no clue what I was doing when I first took it out the box!) and so I've decided to start a series all about how to get the most out of an overlocker. In other words, I'm hoping to unlock the confusion surrounding them and enable you to know wether or not investing in an overlocker is a good step forward in your sewing journey. I hope that you find this useful, let me know if there is anything in particular that you would like me to cover in this series. More than anything it will be a way to document my journey learning how to use an overlocker. At the beginning, I'll start off having never sewn with an overlocker before and I'm hoping that by the end even changing the threads will come naturally... we will have to wait and see! You'll love it, I promise. I love my overlocker and changing the thread comes completely natural to me now :-) Most of all I like the speed and the neat finishing it makes. I look forward to reading about your overlocker journey.